It’s camping season, which means it’s time to arm you with a ton of genius camping tips (I’ve got you covered) as well as fun camping games to go with these yummy campfire meals I know will make even the pickiest eaters, happy and satisfied! These aren’t your ordinary hot dogs and hamburgers (anyone else tired of the old standbys?) Nope. These are easy camping meals for family I know your kids will devour and I promise you, don’t require a ton of time to prep or cook on your campfire. My family loves to camp in the Summer, but pulling together camping food wasn’t my strong suit. 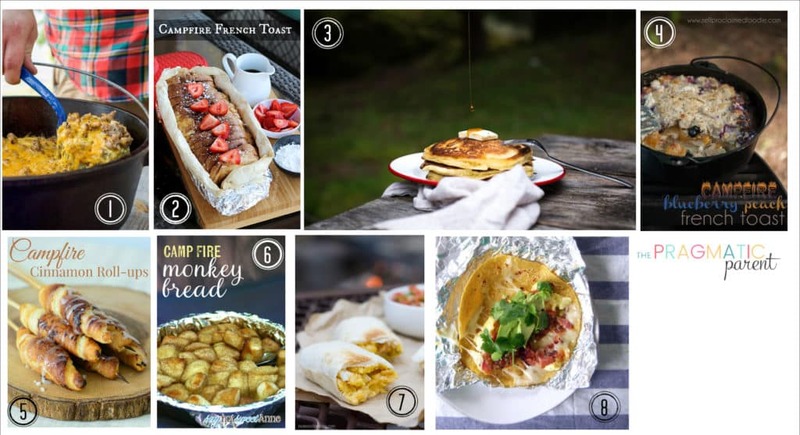 Last year with a handful of campsite reservations booked, I googled “best camping food” and armed with a ton of recipes, we taste tested a bunch of easy camping food ideas to make sure they lived up to the hype. 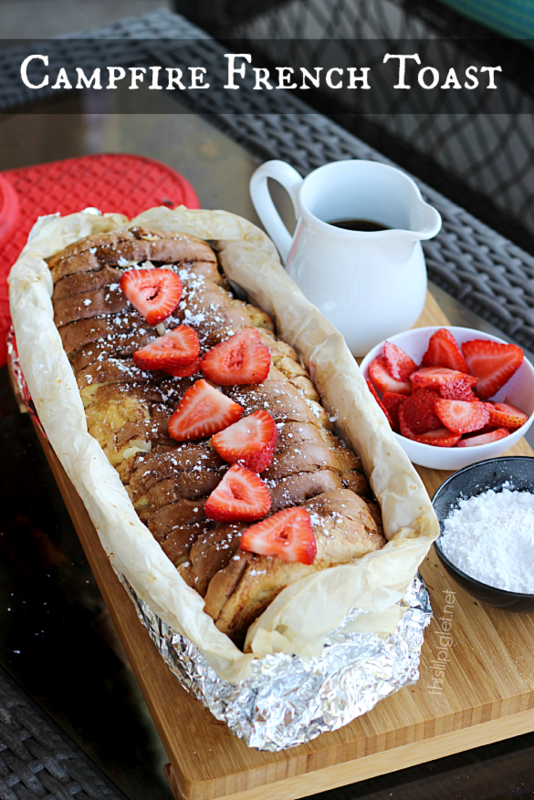 With three little kids and one husband who has strong opinions about his food, we weeded through a lot of camping recipes to come up with this list of 30 best breakfast, lunch, dinner or dessert ideas for camping I feel confident we can rotate through, without getting bored or tired of the same ‘ol choices. Only planning a simple backyard camp out or staycation this year? 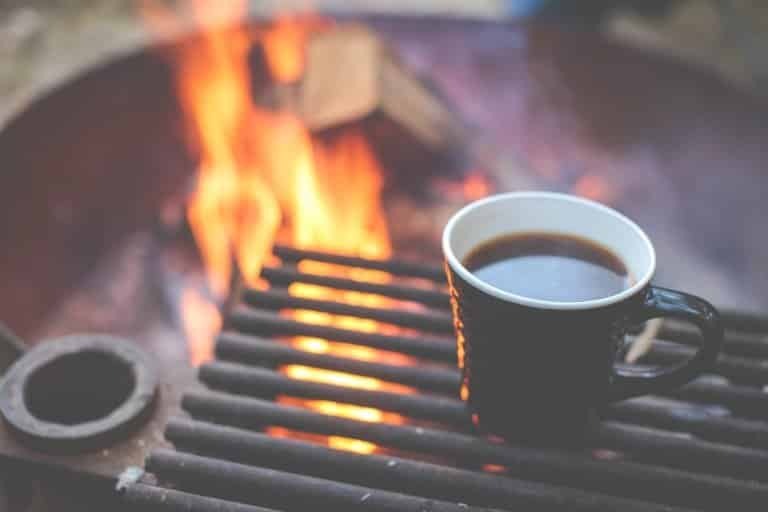 No worries, even if you don’t want to track into the great outdoors, these camping meals can work for the grill or fire pit you have in your backyard too. 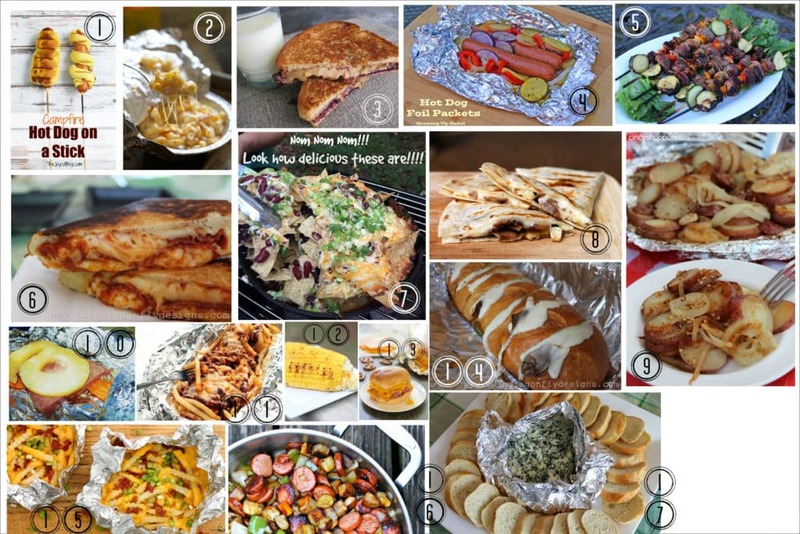 Here are 30 easy campfire food ideas you can prep in no time and pack for delicious meals I hope your family will love, just like mine. Campfire cooking has never been easier, or yummier! 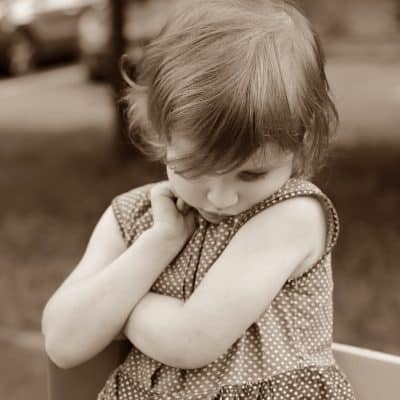 I know when my kids wake up in the morning and climb out of their sleeping bags, I can time how quickly they’ll ask “what’s for breakfast” by counting for 60 seconds. When you prep these breakfast camping meals ahead of time, they’re simple to pull out of your cooler, heat up and you’ll be able to feed everyone in no time. That means, no mixing ingredients and trying to pull breakfast together while you rub sleep out of your eyes and try to mix your instant coffee at the same time. These are the exact campfire recipes we used for lunches and dinners during last Summer’s campfire cooking experiments. These are the ones that made the taste test cut! You can cook any of these meals over your grill, or your open fire and they all cook pretty quickly once you pull them out of your cooler. Sure, roasting marshmallows over the fire is a requirement for camping, but if you are in the mood to make something a little special, or just spruce up your marshmallows, these camping desserts will hit the spot! More Genius Camping Tips Especially if You’re Camping with Kids! Here are more camping hacks to make your camping experience fun, stress-free with kids and make you want to go again… and again! This is such a great collection of easy camping recipes! You’re making me want to go live in the wilderness- if I had these foods I’d be all set!